I had braces when I was a teenager, but back then orthodontists didn’t tell you to wear a retainer regularly. Over the years my teeth got crooked again, and it really bothered me. So I got braces over 50 for the second time! Braces are expensive (about $6,000 in my case), so get an orthodontic consult and see if they have a payment plan you can live with before you do anything. Metal braces are almost $1,000 cheaper than clear Invisalign. At the consult, ask if there’s anyone there with braces over 50. A nice woman who was in the office getting her wires tightened showed me her braces and gave me some tips, which made me feel better. Also, my regular dentist is about my age and he had metal braces, which gave me the original idea. Get necessary restorative dental work done before getting braces. I needed a couple caps — and some time to pay for them — so I did that over a period of almost a year before heading to the orthodontist. Buy dental insurance that will pay for as much as possible. 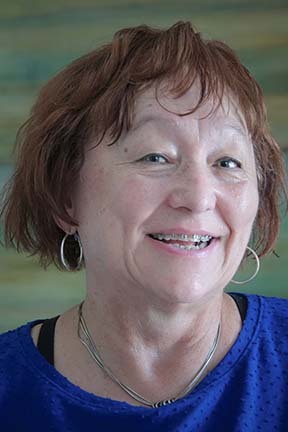 I work for the government and was able to buy insurance during benefits open season that paid up to 50 percent for braces — 50 percent of the fee they approve for in-network doctors. Since my orthodontist was out of network, they said they’d pay for 50 percent of $4,000 — not of $6, 000. Be sure there’s no age limit for coverage on braces! Many plans only pay up to a certain age. (The people at the orthodontist’s office tactfully made me aware of that.) And see if there’s a waiting period. The plan I bought had no waiting period, although many others made you wait a year. If you work full-time like I do, see if the orthodontist has evening hours. Mine is open one evening a month until 7, and I’m able to get appointments then by scheduling far in advance. It’s great not to have to leave work for regular appointments! Carry a toothbrush and a mirror (and any other food-removal devices the orthodontist gives you) with you everywhere (car, purse, desk at work, etc.). Food really sticks in metal braces! And consider using a WaterPik device every night. That is much, much easier to do than trying to floss tooth-by-tooth with special orthodontic flossers. When your teeth hurt and you’re second-guessing yourself about your decision, just remember you’ll be the person with the great smile in just 18-24 months! 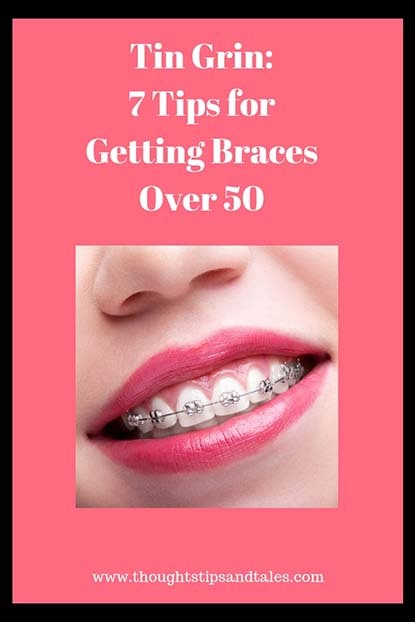 This entry was posted in save money, saving money and tagged braces over 50, getting braces over 50. Bookmark the permalink. Good for you. I never got the nerve but always wish I had. Good tips, too. I had no idea there was insurance without an age limit. These are some great tips and most people are unaware of some of these. For instance, the importance of getting necessary restorative dental work done before getting braces.